What i need to do in this moment? For which version should the level be played in? Get ready you boots, for the epic adventure! Topic: I got warning... but for what? ...And i don't get it. What this means? what i do wrong? How would you find it when I create levels with your ideas? You can post what you have ideas for her, respectively Level design. hm... Donkey kong jr. Level in smbx? I wouldn't feel discouraged by your episode. It's a learning experience after all. With time and practice, I'm sure you will greatly improve on your level design skills. Guys! I have very good news! project MOT 2.0 is finally CANCELED! No. I am not kidding. This project is the worst I've touched. The best thing is to leave it indefinitely. Okay.... What would you work on next then? Topic: Need logo... for trash can project! 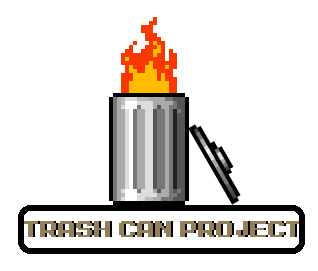 Re: Need logo... for trash can project! I didn't make the trash can, I just found it on Google Image. Is it just one level or is it a full remake of the SMB1 game? Topic: SMW peach and link, Pls?